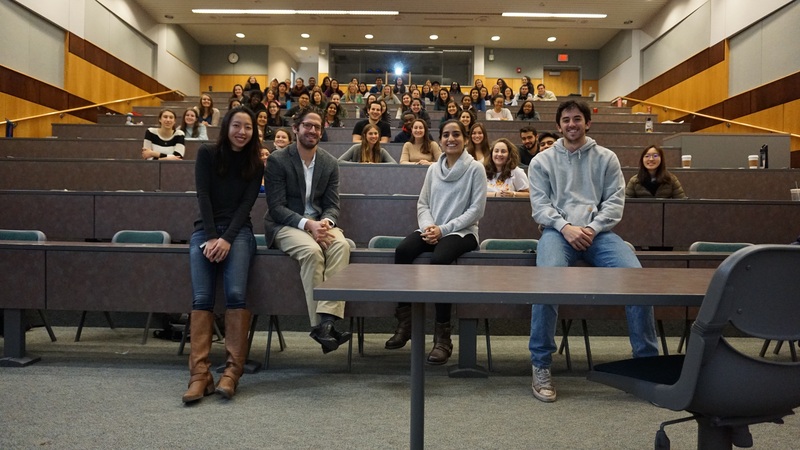 NS 3090: Global Health Case Studies from Weill Cornell Medicine is a 13-week seminar style course offered to undergraduate students at Cornell University’s Ithaca campus. It is taught by Weill Cornell Medicine faculty members from multiple departments, who share their experiences in global health and international work. The course aims to provide students with a basic understanding of worldwide biosocial factors that impact health, such as poverty and economics, gender violence, and access to natural resources. Seminars are led by Weill Cornell Medicine faculty who practice medicine in developing and lower middle income countries, such as Tanzania, India, and Syria. This diverse group of physicians has experience in global surgery and anesthesia, emergency response to humanitarian disasters, and the biosocial factors that impact health. Faculty provide unique insight into their own work and experience, and demonstrate how medical treatment must be coupled with an understanding of the social context of a region in order to enact effective public health programs. Undergraduate clinical teaching methods for this course have been carefully developed under the guidance of the Cornell Center for Teaching Innovation and include seminars, case study discussions, and assigned readings. Through this uniquely designed curriculum, students are challenged to describe the scope of global surgery and anesthesia, and the emergency response to domestic and international humanitarian disasters such as the Ebola and Zika outbreaks, the Haitian earthquake, and the Syrian refugee crisis. Students are able to describe the scope of global surgery and anesthesia and the emergency response to domestic and international humanitarian disasters. Students develop a basic understanding of worldwide biosocial factors that impact health and are able to describe the sustainable nature of existing initiatives, both domestic and abroad. Students are able to compare and contrast the differences between traditional medical mission style work abroad and a biosocial approach to global health. Jyoti S. Mathad, M.D., M.S.